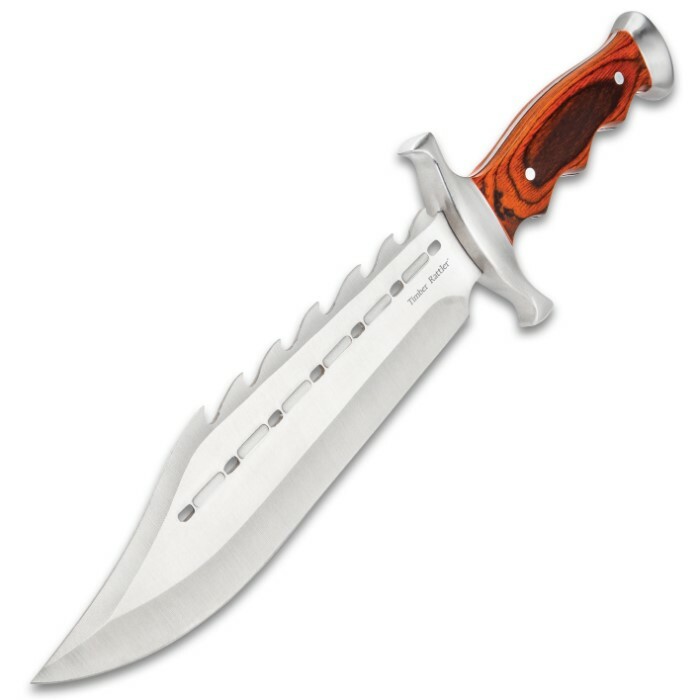 You better ask for forgiveness now, because you're carrying the Sinful Spiked Bowie Knife. The razor sharp 9 1/2" blade has a spiked back. 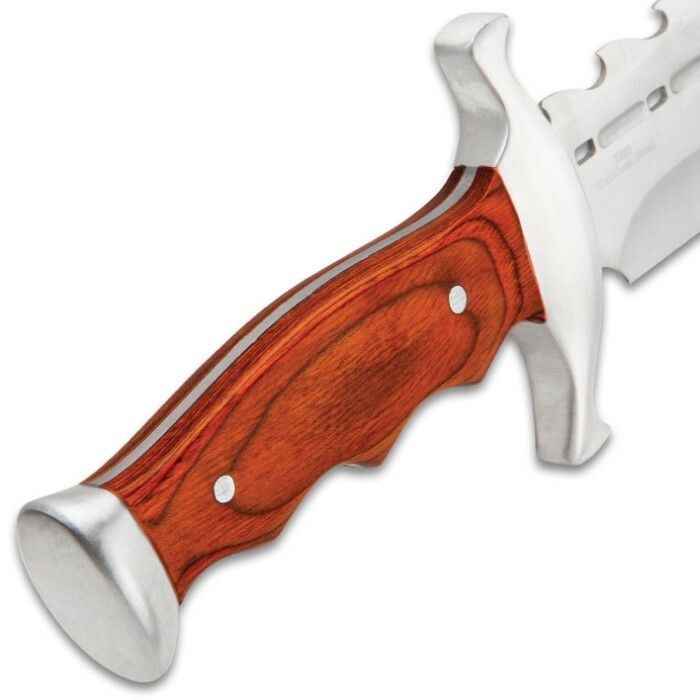 The hardwood handle has a comfortable ergonomic grip, and a nylon sheath is included. 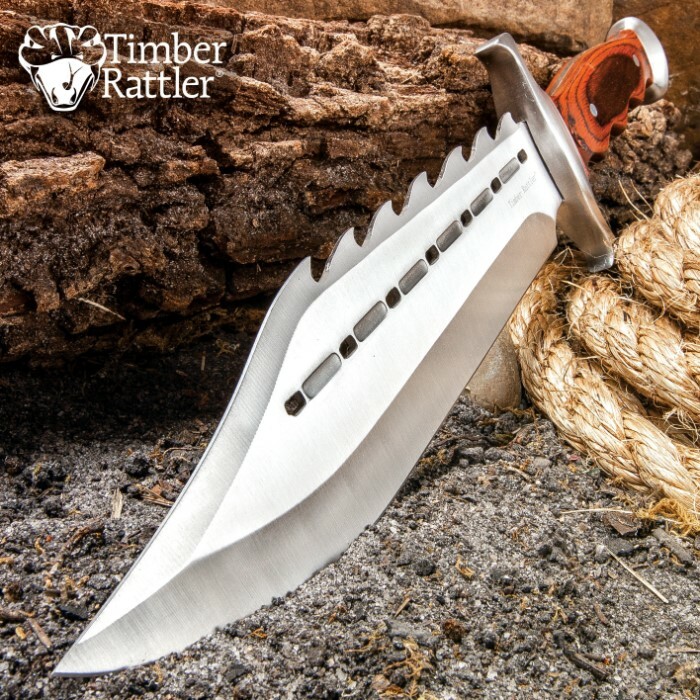 It's not just a knife, it's a 15" extension of a bad attitude. 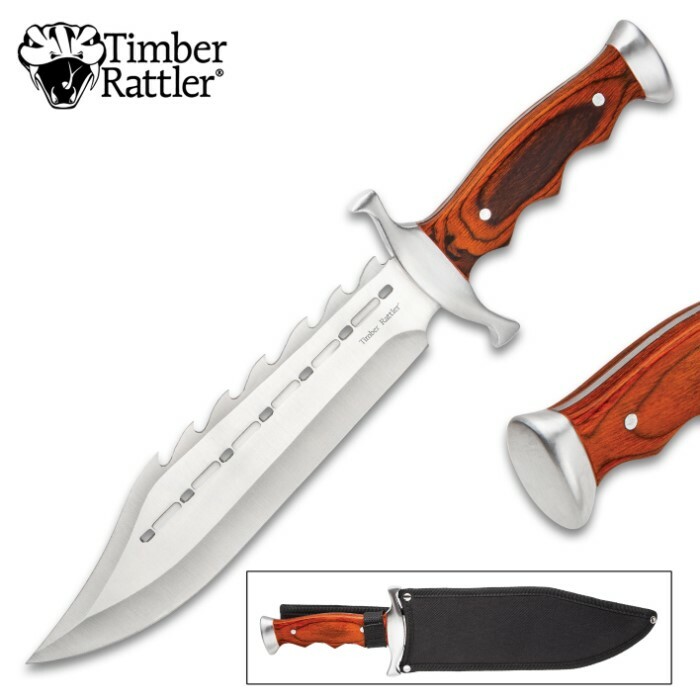 I JUST BOUGHT ANOTHER ONE OF THESE, THIS KNIFE IS A MONSTER, IT IS A SHOWSTOPPER, IF YOU WANT A MANS KNIFE, THEN THIS IS IT. IT WILL OUT DO KNIVES THAT ARE TRIPLE THE PRICE, IT WAS SUPER SHARP OUT OF THE BOX, BUT I SHARPENED IT UP SOME MORE, AND OMG! ITS RAZOR SHARP! THIS IS A BAD BOY, ARE YOU MAN ENOUGH TO OWN IT. 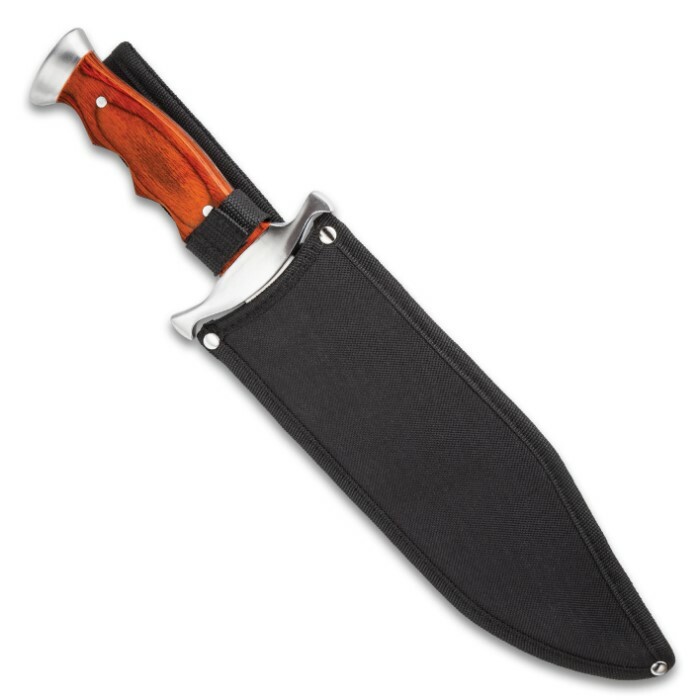 I BOUGHT A TIMBER RATTLER BOWIE, THE KNIFE IS ABSOLUTELY A GREAT KNIFE, THE ONLY DRAW BACK IS THE SHEATH, BUT I FOUND A LEATHER ONE TO FIT IT. THIS KNIFE IS A SHOWSTOPPER. I'm carried a knife since I was 13 and I'll be 66 by years end. This is the 1st blade that drew blood from me straight out of the box. I can't think of a better complement that I can give a knife in this review. This blade is the real deal. It is not a toy. Treat it with RESPECT or IT WILL BITE YOU. I bought this knife recently and I carry it with me. It's a mean looking blade. I'm very pleased and continue to purchase more knives from Bud! The knife just arrived today ( a day ahead of schedule!) and it is very nice. Good deal, quality product. Thanks BudK! I loved this knife... a little too much. It is indeed very sharp out of the box (able to slice strips of paper nicely). The only problems I had with it were that the tip kept bending and the knife snapped in half at the handle when I threw it (oops). I'm thinking about repairing it or turning into a scary looking spear. Overall great knife.